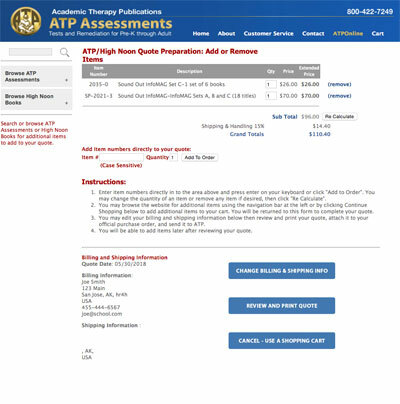 Customers wishing to obtain a printed quote may produce one by using the Quote Preparation form on our parent website, ATP Assessments. Click the button below to go directly to that form now. You'll be able to add products from both ATP and High Noon Book website.